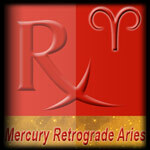 When Mercury turns Retrograde in the house of Aries it would be fiery in nature like the nature of the sign itself. There would be confusions, contentions and antagonistic approach to all issues. Some sort of exaggeration would be involved in all matters. Mercury in Aries indicates clever thoughts but mental discipline is a must. The mind goes into an oscillation mode and there would be a tendency to jump into conclusions without any forewarning or forethoughts. There would be temper tantrums and nervous disorders. Massage and meditation could do well it give some relief. 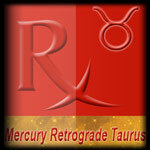 Mercury retrograde in the earthy sign of Taurus would bring in blockages at all levels. Thing would be in paper and putting it into a practical format would be a cumbersome task. All routes to one�s goal would be blocked temporarily when Mercury is retrograde in this house. This is because all sorts of communication would be lost. Your well-planned party or a board meeting would go awry when Mercury goes retro in this house. Gemini is the house of communication. 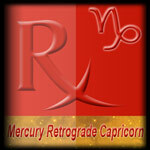 When Mercury goes retrograde in this house a sort of fluid situation is reached where hell breaks lose in matters of communication. All judgements made during this time would be vague and unclear. Frustrations creep in as all ambitions and plans are put to the back burner. Those more likely to suffer are those directly dealing with people like salespersons, lawyers, advisors and consultants. This is a good time to take a vacation or go in for a massage or a time to chill out with friends. When Mercury is retrograde in Cancer, the house of emotions it causes sort of emotional issues like confusion and mental overloads. Businesses and professions related to Home and its need suffer a lot during this period. A generally moody period is forecast with people queuing in at the doctor's office for digestive disorders owing to eating disorders. Hence it is best advised not to retort to overeating to curb your emotional needs. Also stay indoors and avoid indulging into the feelings of others around you. When Mercury is retrograde in the house of Leo, people�s high aspirations and ideas would be put to great test. There would be confusion of sorts over the same. 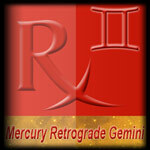 People would be found to lose their temper more often than when Mercury is retrograde. Those in power and authority are likely to make major blunders resulting in utter chaos in the country. Love issues are likely to hot up in this period. Also make sure that children and elders are not given way for over -indulgence in anything. Speculative deals of sorts are to be put off for this period. Disorders related to heart are likely to creep in during this time, hence maintain a tight vigil over your food and other habits. Mercury rules the house of Virgo. Hence its effect would be more significant than when in the other signs. Being a mutable sign, Virgos are particularly found to be at loggerheads with the other mutable signs like Gemini, Sagittarius and Pisces during this time. People seem to be going through a more introspective period. It would be a dramatic period with emotions and impulses holding the sway. Generally stressful period for the natives of this sign. 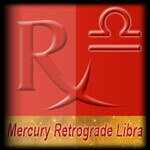 When Mercury goes retrograde in the sign of Libra, there would be troubles in the fronts of law, partnership deals and marriage. As these all have to do with partners or some companionship. You can go in for some artistic pursuits in this period. People are found to dither and waver in their thoughts and actions. Emotions need to be controlled and a mental revamp would be the need of the hour. With regard to health, kidney problem is likely to slip in , hence drink plenty of water and avoid acidic foods at all costs. 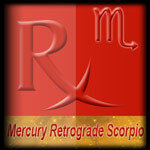 With Mercury being retrograde in Scorpio, a general scepticism is likely to run through the crowd. A sort of confusion is likely to prevail as far as secrets are concerned. Some arrogant tendency is also to be expected among the menfolk. People would be difficult to get along well There would be a general attraction towards the occult sciences like psychic readings and astrology. Sexual interests shall come to the fore during this period. With Mercury being retrograde in the house of Sagittarius there would be some troubles and hindrances in the field of education and higher studies. Travelling would be delayed and hindered and there would be a clash of different cultures. International rifts between countries and dignitaries are also expected. Communications are likely to break down when most needed. Generally politics seems to be disrupted much as also the field of arts. Trade deals seem to fall apart but patience shall bring it across once Mercury turns direct. Capricorn is a cardinal sign. Hence there would be friction between this natives and the other cardinal members like Aries, cancer and Libra when Mercury turns retrograde in the house of Capricorn. People seem to think more introspectively. 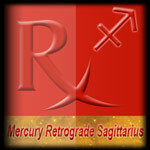 Ambitions are likely to take the back seat during this phase of Mercury. Organizational errors are also to be expected during this period. There would be a war of sorts between the brain and the mind during this time. When Mercury goes into retrograde phase in the sign of Aquarius there would be much focus on independence and freedom than what is needed. Social orders would be put to great test. People would be found to be more adamant in their view point which would cause serious frictions in relationships, both personal and professional. Intellectual conflicts arise. Those in the political scenario need to be careful with their moves. Nerve and muscle related disorders are said to be on the rise during this phase according to medical bulletins analysed over a good period of time. When Mercury is found to be retrograde in Pisces, there would be mental and emotional confusions. Some psychic experiences are also probable. There would be a mix-up of ideas, opinions and passions among people. People tend to become too much spiritual or too much erratic in their behaviour. There would also be a tendency for procrastination and laziness might creep in. Paranormal experiences are usually noted. Stress shall take its toll. Stability and privacy would be needed for a trouble-free environment. Nervous breakdowns are usually reported on a large scale.